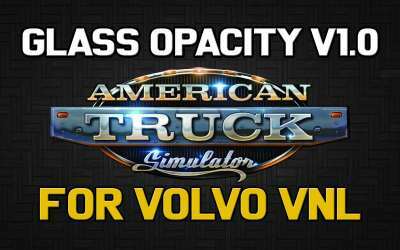 This American Truck Simulator modification add Glass Opacity for the Volvo VNL Truck. Without this modification the lighting is much higher in the cabin. Note: I recommend using with JBX Weather 2 and JBX Weather 2 for Frosty.